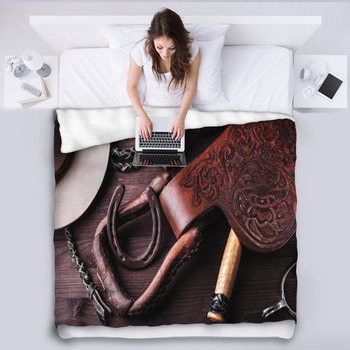 Decorate your little boy’s room with one of our rodeo blankets! 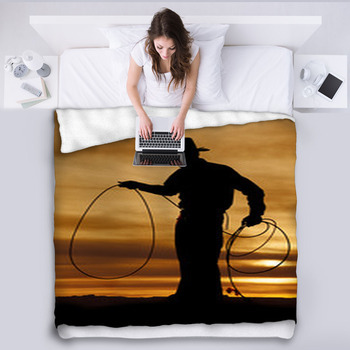 If your son is a fan of the rodeo, select the grunge background Wild West blanket that says “Cowboy Rodeo.” If they are a fan of cowboys, select the rodeo cowboy silhouette blanket, showing a cowboy sitting on his horse during the sunset. 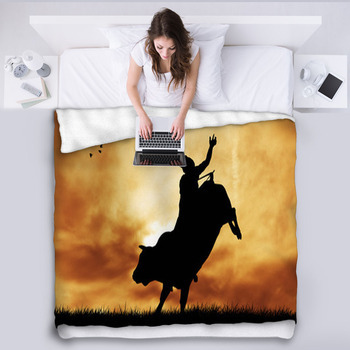 The bull rider blanket, showing a cowboy displaying his bull reining skills and the rodeo bull rider blanket, showing the bull falling off the bull in the rodeo ring is a good choice if your little one wants to see some rodeo action. 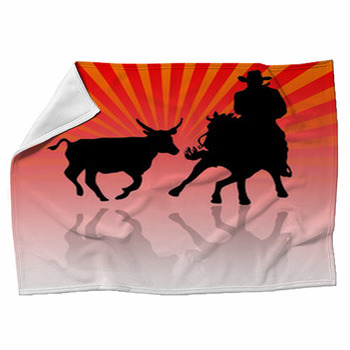 The rodeo cowboy bull riding flag blanket and the American rodeo cowboy bull retro blanket is for anyone who wants to combine their passion for the rodeo with their love for their country. 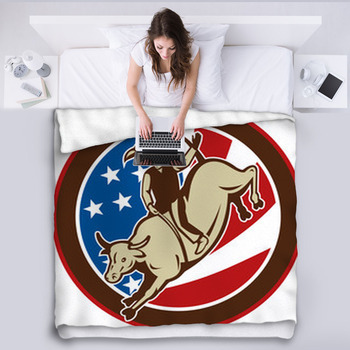 Both blankets depict the same image of the cowboy riding his bull with the flag of the United States behind them. One flag is circular whereas the other one is shaped like a shield. 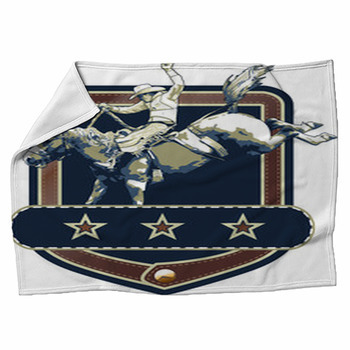 Horse saddle blankets, riding spur blankets, and rodeo bull riding accessories are available for people to purchase. Instead of placing these types of blankets on their bed, people can hang them on the wall or place them on the couch. 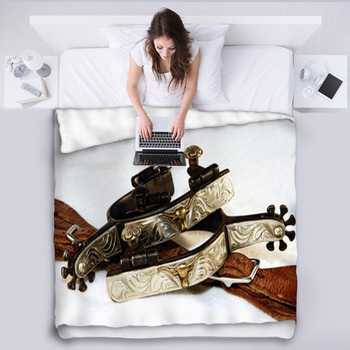 You can customize the throw and fleece blankets to fit the size of the bed or couch. 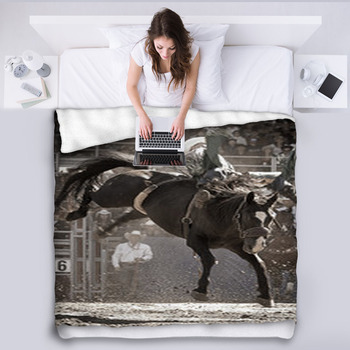 Moreover, you have the option to customize the blankets with a message or a picture. 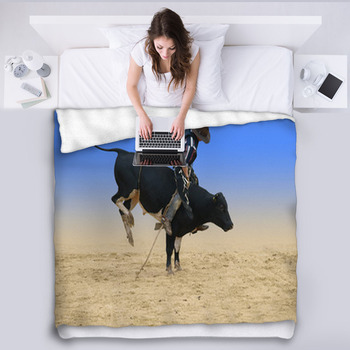 The rodeo blankets will give your home or your little boy’s room a unique look.